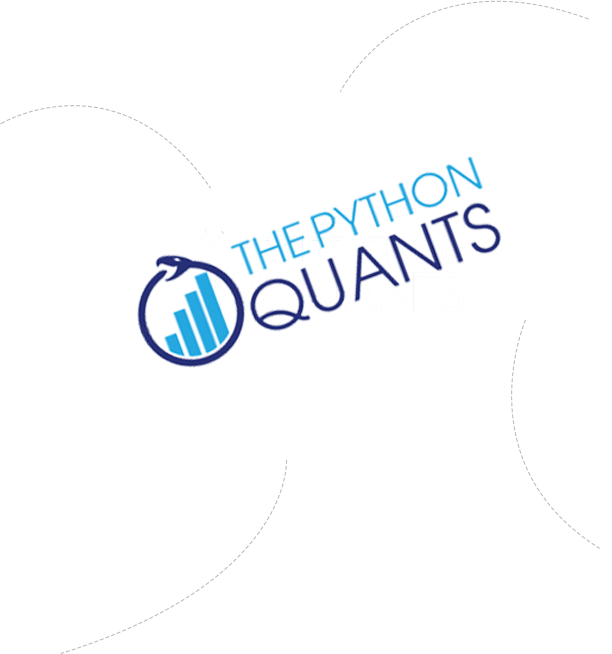 With professional Python for Finance & Algorithmic Trading online training classes by The Python Quants. Start your own trading operation. Earn a prestigious university certificate to kick-off your career. Leverage the power of Python. 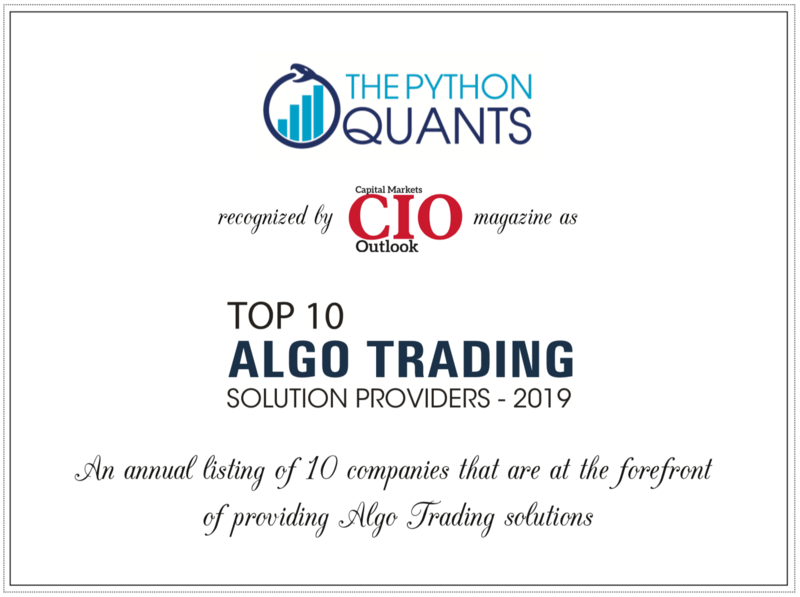 Our online training offerings are based on more than 10 years of experience with Python for Finance and Algorithmic Trading. This class lays the foundation for applying Python for interactive financial analytics and financial application building. Become a skilled Python data scientist. The class comprises 10 live/recorded training sessions of about 2 hours each (20+ hours of videos) and includes a comprehensive documentation (first 13 chapters of the Python for Finance book, 2nd ed, O'Reilly). The price for the class is 599 EUR. You can start right away after enrolling via the button below (put in the price manually) based on recorded training sessions. 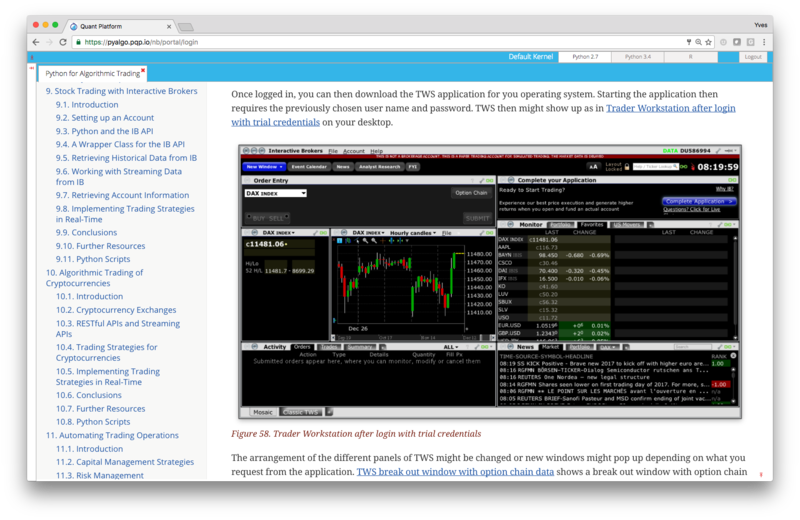 This class — our “Online Summer Bootcamp” — covers topics of importance for automated, algorithmic trading with Python — build your own algo trading fund with Python or become a star trader within a big institution one day. The class comprises 6 live/recorded training sessions of about 2 hours each (12+ hours of videos). In addition, 4 live/recorded training sessions of about 1.5 hours each about Python & Linux Infrastructure (6+ hours of videos) It also includes the Finance with Python course (6+ hours of videos, 170+ pages PDF) and the Python for Algorithmic Trading course (450+ pages PDF, 3,000+ lines of Python code). The price for the class is 999 EUR. You can start right away after enrolling via the button below based on recorded training sessions. Do you want to become a Python Quant — doing rocket science on Wall Street? 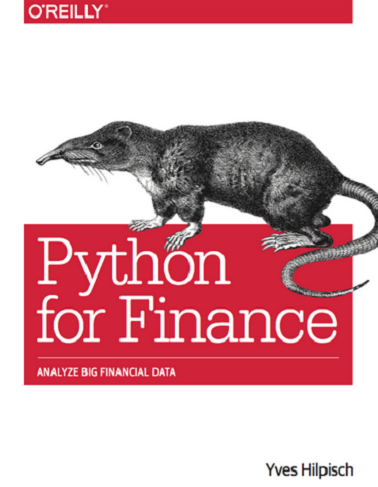 Then the Python for Computational Finance class is for you, covering some of the most relevant topics in financial engineering. NEW Certificate in Python for Computational Finance. The class comprises 7 live/recorded training sessions of about 3 hours each (21+ hours of videos) and the Finance with Python course. The price for the class currently is 799 EUR (instead of the regular fee of 899 EUR). You can start right away after enrolling via the button below (put in the price manually) based on recorded training sessions. This 16 week program (see example study plan) offers you intensive training classes, live online sessions and practice modules to master Python for Financial Data Science & Algorithmic Trading. A certificate in co-operation with the htw saar University of Applied Sciences is awarded after successful completion. This program is a comprehensive preparation for those who want to build their own algorithmic trading operation or land a job with a systematic trading firm. The price for the program is 2,495 EUR. More details and enrollment under http://certificate.tpq.io. This program covers a broad spectrum of topics in quantitative finance, such as basic finance with Python and computational finance for option pricing & risk management. A certificate in co-operation with the htw saar University of Applied Sciences is awarded after successful completion. This program is a comprehensive preparation for those who want to systematically and professionally use Python for quantitative finance. The price for the program is 2,495 EUR. You can enroll under http://compfinance.tpq.io. 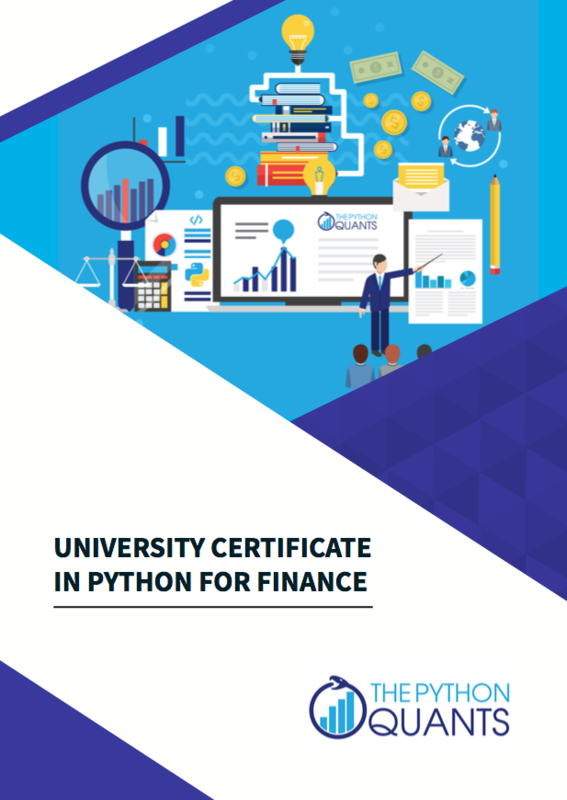 This online training course teaches finance from fundamental principles and introduces Python in a gentle manner, covering the basics that are particularly relevant in finance in appropriate detail. This course is a gentle introduction to Finance with Python. Learn about all the details under http://finpy.tpq.io. Excel is a powerful tool that is used in many different areas in finance. Adding Python to Excel's capabilities makes it an even more powerful tool for data and financial analytics. In this area, we are partnering with the experts from Zoomer Analytics who have developed the popular Excel Python package xlwings. Get in touch under training@tpq.io to discuss online and live training options in this regard. To become a proficient and effective Python Quant and Programmer, you need to master the basic tools and skills regarding Python deployment, development and distribution. The class comprises 12+ live/recorded training sessions of about 1.5 hours each (20+ hours total). The price for the class is 499 EUR. You can start right away after enrolling via the button below (put in the price manually) based on recorded training sessions. We are proud to be named Top 10 Banking Analytics Solutions in 2017 provider by Banking CIO Outlook magazine. Sign-up for our free email course with six lessons. 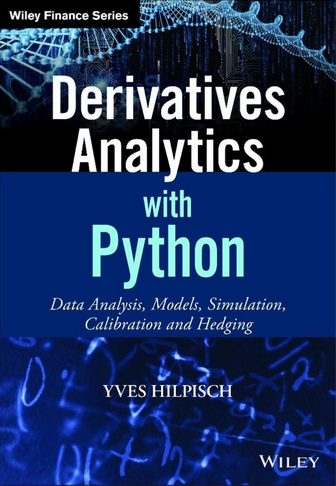 Dr. Yves J. Hilpisch not only has authored Python for Finance (O'Reilly) and Derivatives Analytics with Python (Wiley Finance). He also has authored the Python-based financial analytics library DX Analytics, is founder of The Python Quants Group and organizer of the For Python Quants bootcamp series. Felix Zumstein is founder of Zoomer Analytics and has authored himself the popular library xlwings to integrate Python with Excel. 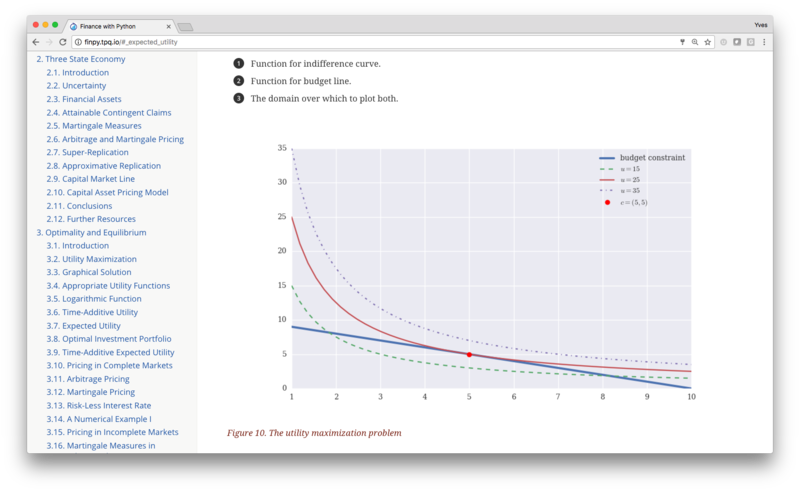 With the Quant Platform we have created a fully integrated platform for doing Python trainings. The platform has a wealth of capabilities to conduct and manage online trainings as well as to learn Python in the browser. It also gives you all the resources you need after finishing a training. There is also a user forum that is active 24/7. Benefit from our experience with dozens of live and online training classes and hundreds of participants. On the one hand, our trainings cover topics that you hardly find anywhere else. On the other hand, the combination of trainings we offer — financial data science, algorithmic trading, computational finance, Python tools & skills — is for sure unique. Benefit from our specialization in Python for Finance & Algorithmic Trading. Build you own trading operation or secure your dream job in finance. In general, training sessions are live — but they are also recorded for later watching. This allows you to participate even if you have an unpredictable schedule or if you are in a different time zone. On the Quant Platform, you can post questions in the user forum and work through all the materials at your own pace at any time. The Python Quants Group offers the only professional Python for Finance and Algorithmic Trading online training courses which are accredited by a German university. After the successful completion of the training program you will get awarded an official certificate by the htw saar University of Applied Sciences. 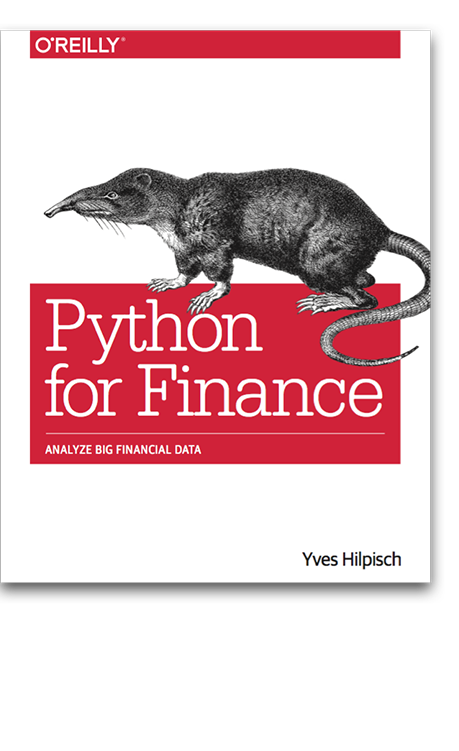 Stay informed about the latest in Python for Finance & Algorithmic Trading.